Baron Samedi is a Slotsbaby game from the developer Yggdrasil. Taking its inspiration from the mysterious and frightening world of voodoo magic, the main character is Baron Samedi himself, a type of supernatural figure known as a ‘loa’ in voodoo mythology. Samedi is known as the loa of the dead. With its graphic using images of rosary beads, skulls, bones and other voodoo accoutrements, this is an online casino game for those who like to walk with ghosts. Baron Samedi features five reels, three rows and 25 possible paylines. There are 36 collectable features, with plenty of wilds, multipliers and mystery symbols among them. Tarot cards are the symbols to look out for, and every time two scatter symbols appear on the reels, these cards appear to give their gifts to you. Respins are a big feature of the game, and you can collect Voodoo Respins as well as conventional free spins and respins. Two scatter symbols will give you one respin when three features are active. If you acquire three to five scatter symbols on the reels, then you are given between seven and 15 free spins. Further complexity is added by the card collection feature. 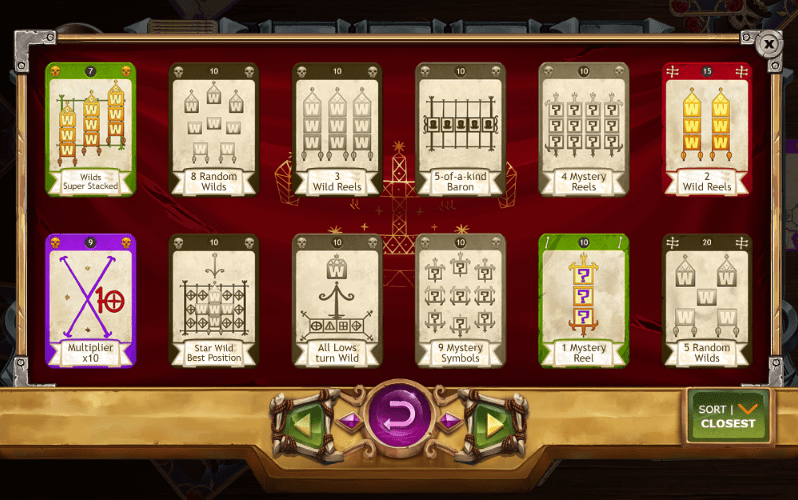 A set of 36 cards is held by the ‘dealer’ in the top left corner of the screen. You are dealt cards according to how you spin the reels, and the cards can be played to boost winnings and bonus awards. There are three categories of cards, with each being a different colour. The red, purple and green cards all offer different bonuses to players. Mystery cards are also available, offering even more variety right here at SBaby. Yggdrasil is a games developer that was founded in 2013, and has since gone on to become one of the most respected names in the industry. They supply games to many of the biggest names in the betting industry. They have picked up many awards for their work, including the International Gaming Awards prize for Innovator of the Year in 2018. 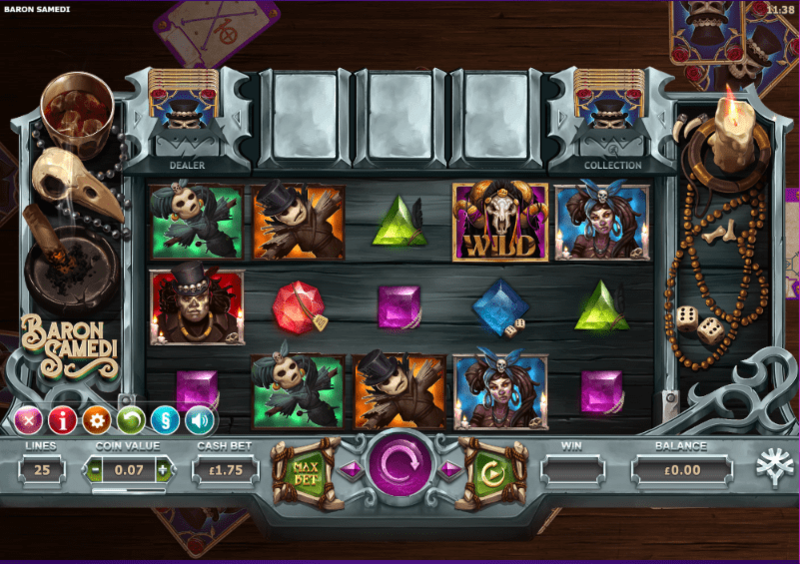 Yggdrasil is known for the complexity of many of its slots online games, and Baron Samedi definitely falls into that tradition. Bonus features in their games often require a little more gaming skill than many of the other slots games you will find in a typical online UK casino. The company hold gaming licences from across the world, including one from the UK Gambling Commission. Baron Samedi offers more complexity and opportunities to show skill than on many free slot games online no download no registrationon the market. In that sense, the gameplay you will experience is much more like that of fruit machines in the pub than your normal online slot. More entertainment is provided by the mysterious and scary voodoo theme. This game offers a world of fun that is well worth stepping into.